Sonya Baksi worked over a 40 period in the NHS and was a consultant community paediatrician. Her early work was in inner London during a period of urban regeneration and service development. This was followed by retrenchment and the introduction of the business ethics into the NHS with cutbacks in support services for families. Sonya has served on national committees and served a year on secondment at the Department of Health when guidance was being drawn up for the Children Act of 1989. She has lectured widely in her professional field. Sonya is a Fellow of the Royal College of Paediatrics and Child Health, a Fellow of the Royal Society of Public Health and a Fellow of the Faculty of Public Health. Sonya has long been concerned about the effects of poverty on family life. Her first substantive post was in a multi-deprived area of inner London. Later she worked in Sussex and profiled child deprivation here. The significance of child poverty will be discussed. The National Minimum Wage was introduced in 1998 and the National Living Wage in 2016. Sonya will discuss the background to this legislation and the work of the Living Wage Foundation. We are currently seeing an upsurge in family poverty with 70% of the four million children currently in poverty having working parents. Local action by Lewes for a Living Wage will be reviewed and ways forward adopted by other countries will be explored. Raphie Kaplinsky is a development economist and an Honorary Professor at the Science Policy Research Unit and an Emeritus Professor at the Institute of Development Studies at Sussex University. He has published extensively on the related themes of globalisation and equalization. He has also assisted governments, the United Nations, firms and local authorities in developing policies to promote industrial and technological restructuring. More recently he has been working on urban regeneration in Newhaven. He is currently writing a book on the Crisis in Capitalism. Since the Industrial Revolution, Capitalism has experienced a series of growth surges, each of which has been accompanied by an ensemble of complementary and supportive social relations which include patterns of governance, lifestyles and value systems. Each of these growth surges has degraded and run its course and, and after a period of turmoil, been replaced by a new “socio-technical system”. We are currently witnessing the exhaustion of the post-WW2 growth surge which is proving to be economically, socially and environmentally unsustainable. Although we can envisage what a more sustainable future might look like, we struggle to imagine and manage a peaceful transition between paradigms. This talk will focus on the social unsustainability of the current growth surge, arguing that one of the forms which it is taking is a rise in populism. Suryamayi was born and raised in Auroville, India, the largest and among the longest-standing intentional communities in the world. She is currently a doctoral researcher in Development Studies at the University of Sussex, focussing on how the Auroville experiment furthers our understanding of the practice and potential of shaping conscious, alternative societies. Her work engages with several aspects of community – notably socio-economy, governance, education, and cultural life – exploring how these are shaped within Auroville, and by its spiritual ideals. Suryamayi previously wrote an award-winning bachelor’s thesis on the community at the University of California, Berkeley, with which she graduated with highest honours. 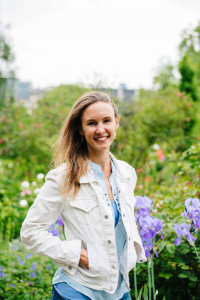 She regularly lectures on her research and experience of Auroville, of which she is an on-going member, at international conferences in India, Europe and North America. In Auroville, Suryamayi is active in facilitating research related to the community, community administration, and conscious embodiment practices. Throughout human history, we have aspired for progress in human society. For centuries philosophers, economists, writers and political scientists have theorized and envisioned how ideal societies may be construed, and intentional communities have often acted as laboratories for the implementation of these ideas. Most such utopian communal experiments were short-lived, although not unsuccessful in pioneering change in the mainstream societies in which they were embedded. Auroville, an international, spiritual township founded in 1968 in southern India, celebrated its 50th anniversary last year as the largest and most diverse intentional community in the world, with approximately 3000 people of over 50 nationalities, half of which are Indian citizens. Inspired by an experimental ethos and an applied spiritualism that seeks to engage with and transform all aspects of individual and collective life towards a more conscious and sustainable society, over the last 50 years, Auroville has been a focal point for the development of myriad alternative practices, in the realms of governance, economics, education, environmentalism, and others – some of them award-winning, inspiring people and projects worldwide. It is endorsed by both the Government of India and by UNESCO; these (and other) national and international bodies have chosen to do so because Auroville represents a viable attempt at realizing a ‘model’ society. However, unlike previous utopian communities, which often sought to enact predetermined, theoretically perfect, societies – and invariably failed to do so – Auroville was conceived without a blueprint, as a “laboratory for evolution.” Its process of development is a fascinating, applied quest and experiment in holistically prefiguring an ever-evolving, spiritualised society. “Communities are also laboratories for social change, and a new generation is being socialized within the community culture,” observes intentional community movement scholar Marguerite Bouvard. A born and raised Aurovilian, I am a voice of that socialization, I speak to and from my personal experience of growing up in Auroville – as well as of my cosmopolitan experience of having lived, worked and studied in both Europe and the United States – in discussing how the Auroville experiment can inform progress in broader social contexts, while careful consideration of the transferability of its endemic practices and spiritual culture. 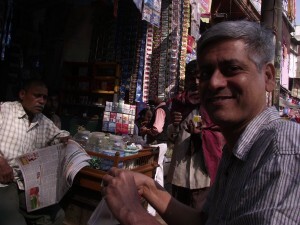 Samarendra Das an activist and London based documentary filmmaker. Founder of Foil Vedanta, Das team research unraveled the complex workings of mining multinational Vedanta Resources Ltd., exposed illegal breaches of national and international labour, human rights and environmental law, and financial irregularities while registered in London Stock Exchange (LSE). Recent ‘Vedanta’s Billions’ report by Foil Vedanta ( http://www.foilvedanta.org/news/vedantas-billions-regulatory-failure-environment-and-human-rights-report-released/ ) was submitted to the Financial Conduct Authrority (FCA). In October 2018 Vedanta’s was delisted from the LSE. Foil Vedanta Das played an important part protecting Niyamgiri, the Dongria Khond’s sacred mountain, in 2013, and in bringing recently the environmental liability of River Kafue ongoing pollution in Zambian Copperbelt to London courts of justice. Foil Vedanta is currently monitoring Vedanta’s copper smelter operation in Tamil Nadu, India, following its shutdown after the 22 May 2018 police shooting that killed 14 protestors against the three decades long polluting copper industry there. While Das is sometimes presented as anti-development bogey, with separatist agenda and who does not want India to be developed, his campaign aims at defending all of India’s communities, including Dalits and Adivasis, and preventing further degradation of the natural environment. Das is an expert on impacts of mining on environment and indigenous people, and lectures nationally and internationally about the financial structures of the extractive industries. His coming book is about the history of Iron Ore mining. Samarendra Das an activist and documentary filmmaker based in London who founded Foil Vedanta and successfully lead the campaign to delisting of Vedanta from London Stock Exchange and played an important part in protecting the Dongria Kond’s sacred mountain Niyamgiri and bringing the environmental liability of Kafue river tributary affected communities ongoing pollution legacy to international fora is now under target by the Vedanta as a foreign hand behind the protest against their copper smelter and reason behind the riot that killed 14 people including 2 women and a child in 22 May 2018. It is often presented by the right-wing press as a separatist agenda and anti-development bogey who does not want India to be developed. This is one of the many reasons why we need to highlight why India is becoming one of the top five dangerous places for women, environmental mining and human rights defenders. Can we believe in human rights, and what happens if we do not? In this talk, Marie Dembour marries her expertise in the history and jurisprudence of the European Court of Human Rights with a particular case study: immigration detention in the UK. In the last three decades or so, the UK has increasingly come to resort to detaining immigrants as part of an administrative process of facilitating their ‘removal’ to their country of origin. The UK has the sad distinction of not time limiting immigration detention. As a result, detainees do not know when they will get out of detention – it could be days, weeks or years. This is most problematic since, unlike criminal detention, immigration detention does not attract solid guarantees of judicial oversight. In addition, there is no access to routine healthcare, individuals are in detention whom the law acknowledges should not be there (such as victims of torture and under-18s), visits are extremely regulated, etc. Immigration detainees frequently recount that going through the gates of immigration detention takes the soul out of you. How is such a dehumanising practice possible today? Why would an institution like the European Court of Human Rights condone it? And if the ECtHR seems to have abdicated its role at least in respect of this situation, why does it remain crucial that the UK remains subject to its jurisdiction? What do human rights offer us, and how are they best fought for? 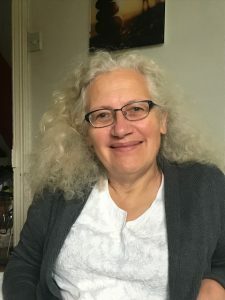 Marie-Bénédicte Dembour is Professor of Law and Anthropology at the University of Brighton, which she joined in 2013 from the University of Sussex. She is the author of numerous academic publications including the seminal books Who Believes in Human Rights? Reflections on the European Convention (2006) and When Humans Become Migrants: Study of the European Court of Human Rights with an Inter-American Counterpoint (2015). She has been invited to teach and speak around the world, addressing both academic and non-academic audiences. This has taken her in the last year to Seoul, Berne, Lisbon, Brussels and Oslo. 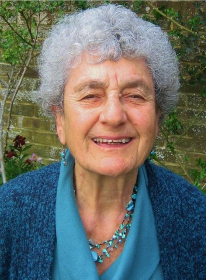 She has been a regular walker on Refugee Tales, an organisation which calls for an end to indefinite detention in the UK and which will pass through and spend one night in Lewes in July 2019. 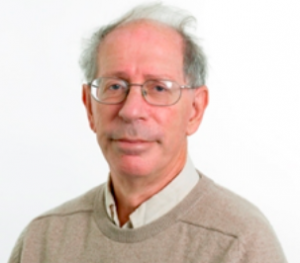 Dr. Benjamin K. Sovacool is Professor of Energy Policy at the Science Policy Research Unit (SPRU) at the School of Business, Management, and Economics, part of the University of Sussex in the United Kingdom. There he serves as Director of the Sussex Energy Group and Director of the Center on Innovation and Energy Demand which involves the University of Oxford and the University of Manchester. He is also Director of the Center for Energy Technologies and Professor of Business and Social Sciences in the Department of Business Development and Technology at Aarhus University in Denmark. He is a Lead Author of the Intergovernmental Panel on Climate Change’s Sixth Assessment Report (AR6), due to be published in 2022, and an Advisor on Energy to the European Commission’s Directorate General for Research and Innovation in Brussels, Belgium. Professor Sovacool works as a researcher and consultant on issues pertaining to energy policy, energy security, climate change mitigation, and climate change adaptation. More specifically, his research focuses on renewable energy and energy efficiency, the politics of large-scale energy infrastructure, designing public policy to improve energy security and access to electricity, and building adaptive capacity to the consequences of climate change. With much coverage of his work in the international news media, he is one of the most highly-cited global researchers on issues bearing on controversies in energy and climate policy. A series of biases continue to handicap the energy studies field. Researchers often promote technological solutions to energy problems while ignoring the social processes that deter-mine their acceptance and use, shape the risks they can present, and offer opportunities for achieving energy policy goals with existing technology. Moreover, many assessments ignore the often hidden ethical, moral, or social justice implications of energy technology and infrastructure. This presentation therefore reflects on the state of the energy studies field, and it proposes recommendations for better integrating social science into energy research. Its fundamental argument is that realizing a future energy system that is low-carbon, safe, and reliable will require fuller and more meaningful collaboration between the physical and social sciences. 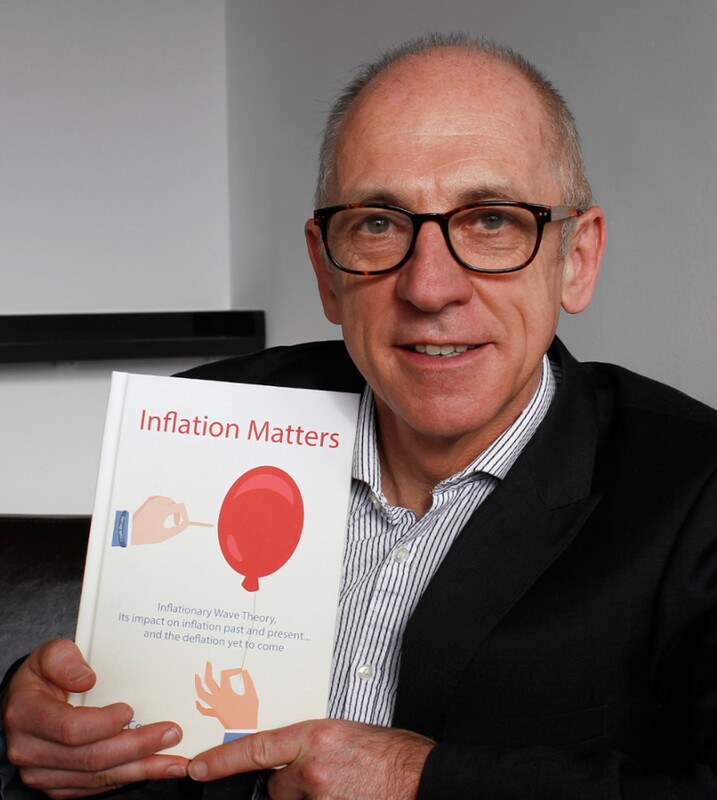 In his talk he will present the evidence for a alternative theory on inflation. He will show that cost of things has been rising over the millennia but it follows a wave-like pattern. Prices rise for a period of a hundred or so years and then consolidate over the best part of another century. What is happening is that there is an underlying factor driving prices higher. It is more than just the money supply as some economists might assert. It appears related to population and demographic changes. All the previous inflationary phases have been triggered by population increases causing demand to exceed supply. However once prices start rising, man intervenes to exploit the situation. Investors buy assets that will keep their value during the inflation i.e. property/land and shares. They borrow money to invest, knowing that inflation will erode the true value of their capital and repayments. However that borrowed money increases the money supply which then fuels more inflation in the economy. Governments also join in and encourage inflation, as it allows them to spend more and let inflation deal with their deficits. But there comes a point when this inflation gets too far away from the underlying trend. We are experiencing that now. Some estimate that world population may peak by 2050 and is ageing in virtually all countries. Older people consume less and therefore the underlying demand curve is changing direction and with it in time also prices probably. The theory predicts we are about to enter a period of potentially stable and declining prices over the next century. Japan and Europe are good examples of areas that might be in this state already. If correct, the theory could have a number of implications for wealth management over the coming decades. Pete has a degree in psychology and has worked for most of his career in market research. 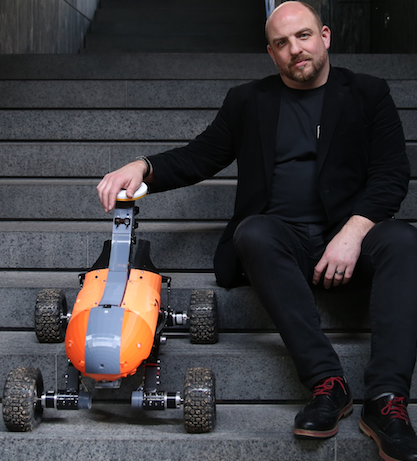 He’s well known within that industry as a conference speaker and also an innovator. For example, he was the first person to run commercial online surveys in the UK in the mid-1990s. He founded the first UK online market research agency in 1998. The company is now called Join the Dots and has offices in Manchester, New York and Singapore. Pete has always had an interest in finance and economics. Pete’s first book in that area, Monkey with a Pin, was published in 2012. It exposed how most private investors’ returns are much worse in real life than the theoretical returns promoted by the finance industry. It went viral and was downloaded by over 10,000 people. He then published two books on inflation – the latest of which was Inflation Matters. You might describe Pete as an author with an inquiring mind. He is not one to blindly accept the orthodoxy and conventional wisdom. Instead, he forms his opinions by painstakingly re-evaluating the facts – and by joining the dots – and sometimes coming to different conclusions than some conventionally trained economists. Pete has recently moved to Brighton following an MBO of his company. He has many interests iincluding walking the entire coast of England and Wales with his wife, Trish. Andrew is an experienced planner and urbanist with a breadth of experience in community investment planning. He has a long track record in bringing about improvements in mental health services and of advocating on behalf of service users. In recent years, he has focussed on the importance of well-being in urban planning and on improving the quality of design in major developments. He was responsible for securing permission for the largest regeneration scheme on an NHS site in England, based on a vision of integrated health and social care provision, which is now under development. 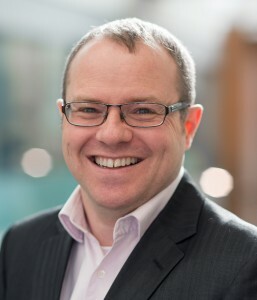 He is currently Managing Director of DLBP Ltd, a planning consultancy engaged on a range of major urban developments in the South East, and a Director of Lewes Phoenix Rising Ltd. This talk represents a review of developments in Lewes since Andrew’s previous appearance at the Headstrong Club in February 2014. At that talk, Andrew made some predictions about what would happen to the town if we were not able to protect ourselves from the consequences of market-driven development, with insufficient investment in local community infrastructures such as affordable housing and workspaces. This is a topic that is close to the hearts of all those who value the unique character of Lewes and who wish to see the town continue to thrive as a place for all to enjoy.